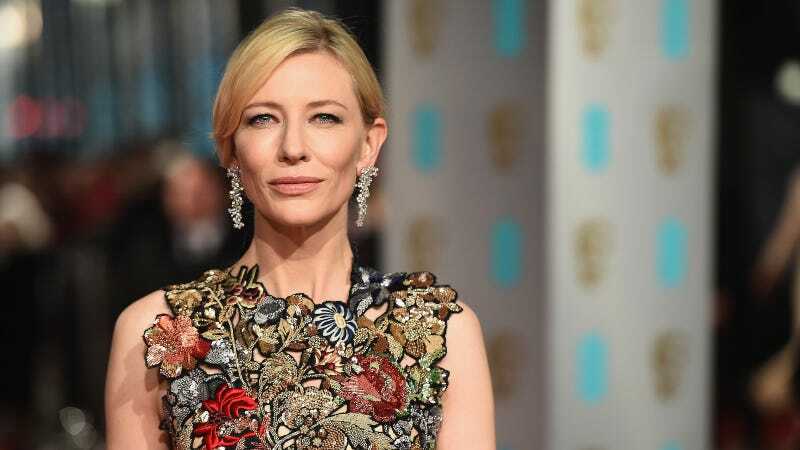 Cate Blanchett has appeared in a number of films on which Harvey Weinstein served as producer, including The Aviator, The Shipping News, and Carol. In a new interview with Variety, Blanchett stated that he sexually harassed her on set. Would I work with Woody again? I had a very productive time working with Woody, and he has written some of the most extraordinary roles for women. But at the time I worked with him I knew absolutely nothing about what was going on, and it came out subsequently. But, far more important than me adding to yet another headline … and finger-pointing is, if that issue has not been dealt with … I am absolutely for it to go back into the courts because there lies the solution. Well, there’s layers and layers to sexual harassment. I’ve been pestered, of course. I don’t know that there are many people who haven’t been. You worked on a number of movies with Harvey Weinstein going back to “The Talented Mr. Ripley.” Did he ever sexually harass you or act inappropriately? Blanchett also advocated for legal prosecution against Weinstein, believing a legal precedent will make it easier for victims to come forward in the future. Meanwhile, over at the Weinstein Company, a Dallas private equity firm called Lantern Capital Partners has likely won their bankruptcy sale, according to the New York Times, paying $310 million and assuming $115 million in debt in the deal. Lantern has no Hollywood experience and are being chosen over a bid from Broadway producer Howard Kagan. The bid from Lantern still needs the signature of a bankruptcy judge, and can additionally be contested by creditors who are owed money by the Weinstein Company.